Bruno's dancing robots are beautiful to watch, but what they do and the feelings they convey come through the robots from Bruno. They have no life or emotion of their own, but they almost convince us that they have. Does this tell us anything about our relationship with our Creator? I simply had to share a recent TED Talk with you. 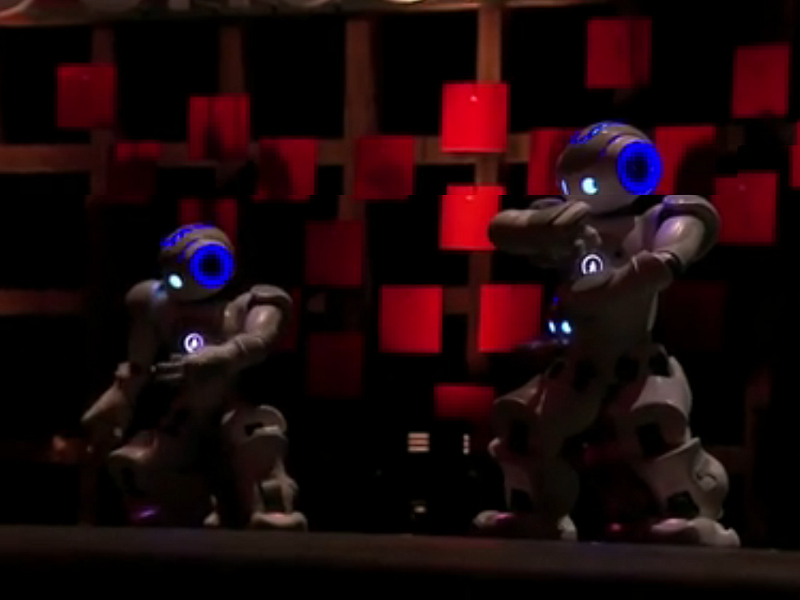 Of course, the beauty and emotive content in the dance all comes from Bruno's heart and mind and is just expressed through the robots much as a musician expresses emotion through an instrument or a painter through brushstrokes. But it is exquisite to watch. The robots don't have emotions, Bruno does. But because the robots dance, the feelings aroused in us, the audience, are strangely transferred from the man to the mechanical. This isn't surprising, when we are moved by music or art we may not even know who produced it. But when the medium is a group of mechanisms that make human-like movements we can almost believe they are alive and have feelings. What is it that is expressed in us? Is it the presence of the Creator in the created? We are not robots, but is he far beyond us in the same way Bruno is far beyond those dancing robots? If robots can move in ways that hint at their programmer's emotions, what do humans hint at about the Most High? How long do you suppose it took Bruno Maisonnier to program the dance? What does this say to you about creators and the things they create?